All Sneakers are 100% authentic from the original manufacturer. Sole Survivor LLC do not sell or cosign factory variants of any manufacturer brands. All sizes are shown in U.S. sizes. 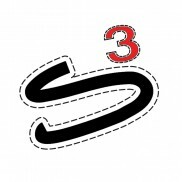 To convert sizes from mens to womens subtract 1.5 to convert sizes from womens to mens add 1.5. Sole Survivor LLC seeks to be a hub for the sneaker collectors to meet through. With the culture being huge in reselling their kicks for profit or just trading them for a pair they have sought forever, Sole Survivor LLC wants to be the trusted name for this exchange. We do not seek to exploit traders and resellers for profit by taking away from their profit and experience. If we stake claim to a large percentage of the profit, then we essentially help in the process of these overpriced resell prices. We, Sole Survivor LLC, want to be a helper in selling the shoes for the reseller and a part of the experience of gaining that pair of shoes that you always wanted and couldn’t find. Therefore, Sole Survivor LLC has revamped its consignment rules to help control our reseller’s prices and promote the culture of sneakers. So review our new rules and try us out. This fee is nonrefundable but resellers are welcome to retrieve their sneakers anytime, if needed. The selling price will be agreed upon by the seller and Sole Survivor LLC to ensure the sell of the sneakers is fast and marketable. The shipping cost per pair will be applied to the sneakers on the website (separate from the selling price) and transaction fees (credit card/debit transaction fees) will be taken from the profits. The reseller will have a joint responsibility to market their sneakers as Sole Survivor LLC will market their sneakers. If the reseller’s sneakers are not sold within the month contract, they will be returned to the reseller unless they want to re-list them to the webstore for a nominal repost fee. All sneakers must be in a Sole Survivor LLC member’s possession to ensure the product are in great condition, are authentic, that shipping is fast and seamless and so that pictures can be taken for posting on the webstore. 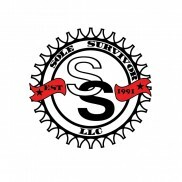 After each sell of a reseller’s sneakers, once the funds clear the business account, a check from Sole Survivor LLC will be cut and mailed, or can be picked up by reseller. 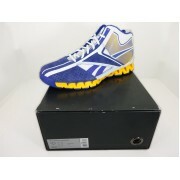 Reebok Zig Encore: Season 2 LE "Holy Rams" Edition Size: 11.5 This is the secon..